From Car Sales Executive To Volvo Sales Manager In Two Years! We are delighted to report another client success story and, this month, we congratulate our former candidate Ben Crocker on his elevated career path. Ben has risen from car sales executive to Volvo Sales Manager at Johnsons Cars in less than two years and his promotion is another great example of our approach to recruitment. 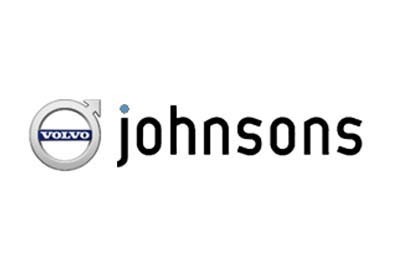 Since 1999, Johnsons Cars has steadily built itself up to become one of the largest independent car dealerships in the country representing family brands such as Honda, Lexus, Mazda, Toyota, Hyundai, Alfa Romeo, Fiat, Skoda, Seat, Volkswagen and Volvo as well as becoming an authorised Saab repairer. In April 2015, we were approached to find a new car sales executive for this rapidly expanding company. We visited their Volvo dealership in Swindon and made sure we understood their organisation, both locally and nationally, their working environment and culture, and both their immediate plans and longer term aims. Not only did this ensure that we would select the best suited candidates for interview but it also gave us a fabulous insight into the immediate and long-term opportunity to sell the organisation to potential candidates. "As a successful sales person with a great track record, the opportunity at Johnsons Cars was irresistible. It has worked out really well for me and knowing that success could lead to an exciting career path within the group gave me all the motivation I needed to succeed. I'm really enjoying my new position as Volvo Sales Manager helping my team to be as successful." "We are delighted that Fraser and his team at Jackie Kerr Recruitment really looked at the long-term needs of our business as well as finding us a top sales person. We are looking forward to continuing to work with Fraser and his team as our business expands further." Are you considering growing your business? Call us for a chat on 01793 762026 or email Jackie and her team at: jackie@jackiekerrrecruitment.com.